Virtual credit cards have been around in one form or another for years now, but their use has yet to truly take off among consumers. A crop of new start-ups however, such as Pay With Privacy and Token Payments, are poised to change that. These two companies may not be household names but perhaps they should be. Both are joining the effort to help consumers beat credit card fraudsters at their game at a time when the list of blockbuster data breaches seems to be growing longer by the day. For those not familiar with virtual credit cards, they come in various forms but are typically temporary, randomly generated, credit or debit card numbers. Often the numbers link to a real payment account, such as a credit card, debit card or checking account. In many cases, the cards are designed for a single use. They’re known as “burners” meaning they expire immediately after use (though some can be scheduled to last for up to one year). There are also virtual cards that can be created and locked for use with only a single merchant and virtual cards that allow for setting a maximum charge amount. The beauty of such cards is that if a hacker gets hold of the information, it doesn’t matter, because the damage that can be done is minimal. Originally developed to make online credit card purchases more secure, the cards are now also being used with increasing frequency in brick and mortar stores thanks to the rise of mobile wallets such Apple Pay, Google’s Android Pay and more. Here are the pros and cons that experts say you should keep in mind with this payment technology. Most refunds for purchases made with a credit card are made directly to the account that was used for the original purchase, notes Chargebacks911 co-founder and COO Monica Eaton-Cardone. However, with disposable credit cards that “account” will no longer exist if the purchase was made with a virtual card and the number has already expired. “That can create headaches for users,” says Eaton-Cardone. The solution to this issue can range from the merchant in question providing a cash refund to you being required to accept a store credit. Another issue to keep in mind, said John Buzzard, an industry fraud specialist at CO-OP Financial Services, is that virtual cards offer little consumer protection in the case of a dispute for services not rendered or received. Read the fine print when using virtual credit cards, and understand how they operate including the various fees charged. For instance, some companies allow you to load money onto the card, explains Eaton-Cardone. But you may be charged a monthly fee if the balance dips below $25. Some of the cards have expiration dates, (also noted in the fine print), which can lead to inadvertently allowing the card to expire while there’s still money on it. Other disposable cards include foreign transaction fees or fees for paper copies of documents that have already been provided. Virtual credit card numbers can certainly be used to book such things as car rentals and hotel rooms online through sites such as Expedia, Orbitz and more. But when you show up to pick up that rental vehicle, you’ll be required to have an actual credit card to swipe. 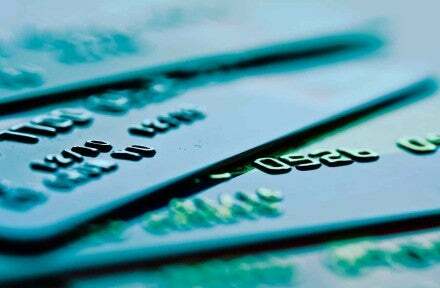 “With disposable credit cards, the account numbers won’t match,” says Eaton-Cardone. When booking hotel rooms online with a disposable card, you may be able to request that the property in question charge the cost of the room to the card you used to make the reservation. However, you will still need to present an actual credit card to be swiped upon check-in to cover incidentals. One of the growth spaces for virtual credit cards is in conjunction with mobile wallet technology such as Apple Pay, Android Pay and more. A virtual card can be issued instantly, even while standing in line at a brick and mortar store, and some can be delivered to your Apple Pay account, explained Jason Gardner, CEO of Marqeta, a fintech firm that enables companies to issue and manage virtual cards. The card can be preconfigured with a spending limit instantly, funded, unloaded, suspended or cancelled, all in real time, granting the cardholder complete control. For the digital obsessed Millennial demographic in particular, it’s an option that is very appealing. If you look at Millennials and the top 50 brands they focus on, there’s not a single bank, or credit card company among the list. Companies like Facebook, Amazon, and Twitter are all taking over, making digital and virtual products more mainstream. In such a world, virtual credit cards are a natural fit. One last downside however, is that mobile wallet payments are still not widely accepted by merchants. But that too may be changing in 2018 and beyond. The post Virtual Credit Card – What You Need to Know appeared first on Credit.com. This entry was posted in credit, Credit Cards, credit report, virtual credit cards by Mia Taylor. Bookmark the permalink.